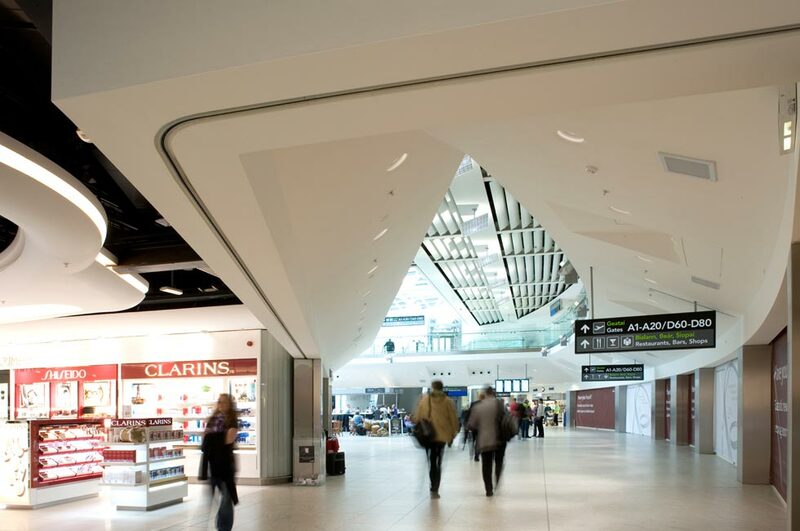 This scheme comprises the phased design development, management and construction of a new-build extension to the existing Terminal One building and associated infrastructure. The approach of the design team was based on bringing the key principles outlined in the original ADPI design through the technical process of design development, while maintaining the operational effectiveness of the existing building during construction. The 7,470 sq.m. 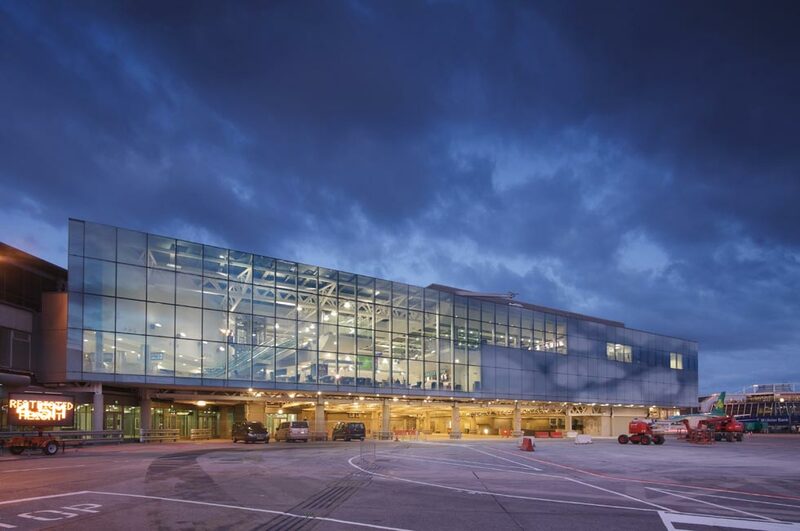 two-storey steel framed extension is located at the north-western corner of the existing terminal and extends in a northwesterly direction towards Pier A on two levels: Departures and Mezzanine level. 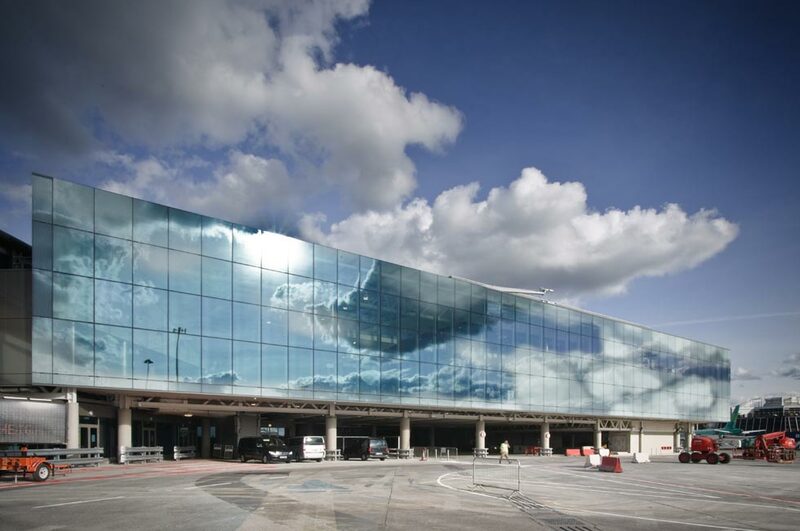 It is elevated on columns to facilitate optimum use of the apron surface below, where only a enclosed Technical Block and the new Arrivals corridor are located. The project also involved the modification of 1,576 sq.m. of the existing terminal building. 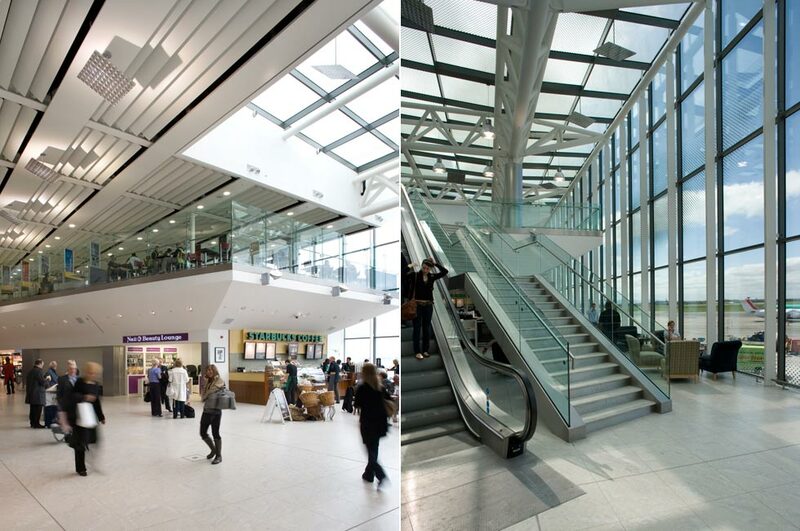 This included the removal of escalators, lifts and other M&E equipment, and structural alterations incorporating the strengthening and removal of existing structural elements. The façade is the main feature of the project and is integral to delivering the principles of maximising visual lightness and transparency. 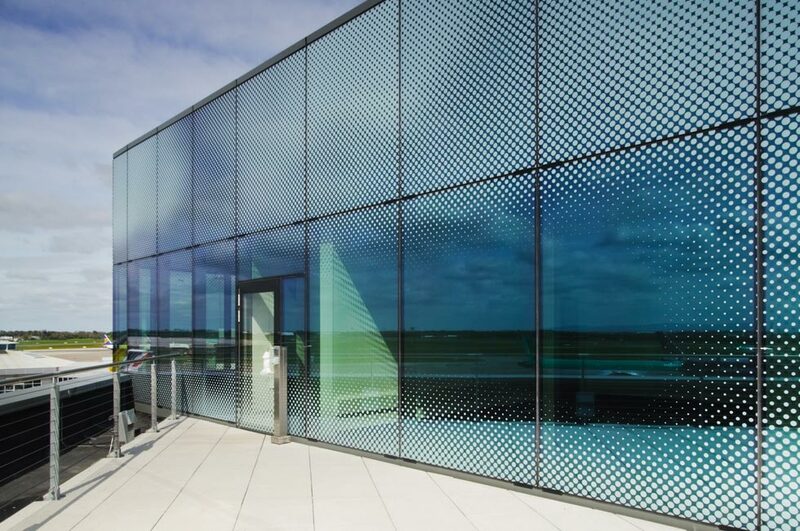 The main aesthetical feature of the design solution is the integration of the curtain walling with the main structure in an elegant, simple and seamless manner. 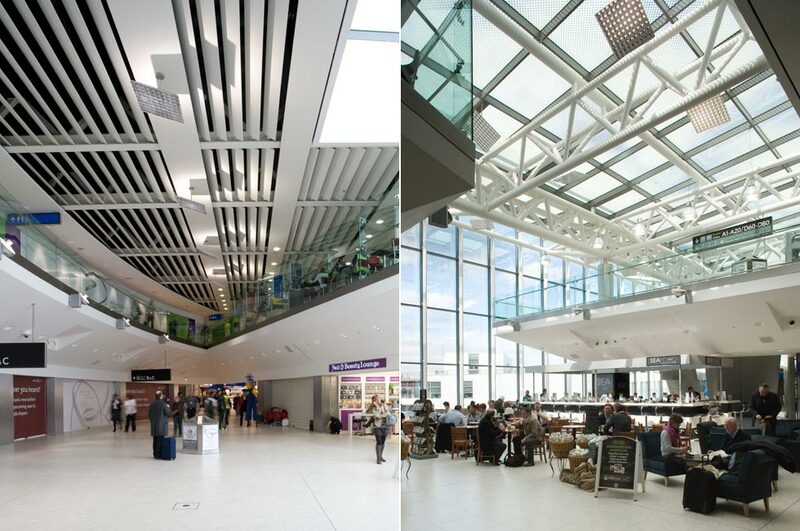 Through-out the design process specialist lighting, thermal and acoustical analysis has been carried out and the performance of these systems have been optimised in order to maximise overall energy efficiency while avoiding introducing elements such as external or internal sunscreening devices that would increase build and maintenance costs. Total floor area: 9,046 sq.m.